Landgate and its supporters transformed the iconic Midland Town Hall for the event, which was filled to capacity with students, teachers and industry mentors. The students from Governor Stirling Senior High School, Morley Senior High School, Mirrabooka Senior High School and Sacred Heart College formed teams and competed to develop map-based apps to solve a diverse range of problems. Governor Stirling teacher Adrian Hajra said the collaboration with Landgate was an exciting experience that involved all engineering students of Year 10 from Governor Stirling Senior High School. �The activities were challenging, thought provoking, testing the science and engineering skills of students,� he said. Year 10 student Reece Jones said the skills in ICT and project planning and the subsequent implementation were challenging. �Our group was to do away with Perth’s slow, poorly covered wireless phone and internet network and introduce 5G. Currently, we have a small number of wireless towers serving too many internet users each. The HackED 2015 prize for Innovation went to a student from Armadale�s �JASE Squad� for developing an app base on creating a �pop-up� mining town that was sustainable and family friendly. The prize for best pitch went to Common Threads from Mirrabooka Senior High for developing an app to unite cultures around the world |by celebrating �common threads� like annual celebrations. 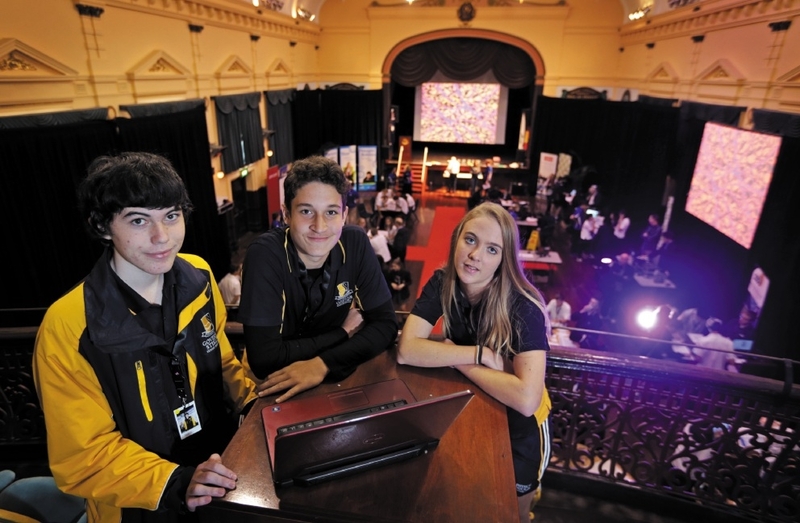 Morley Senior High School�s Team Real won best hack for its app dealing with traffic congestion. The prize for location went to Sacred Heart Team 2 from Sacred Heart College for its app to help the community understand harmful impact by humans on the environment.